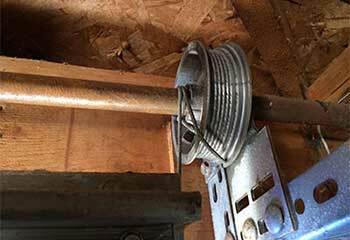 Spring or opener related problems are no match for our professional garage door technicians. If you want to know what we can do to help you, take a look at the latest projects we completed. Customer Issue: Receiver no longer working. 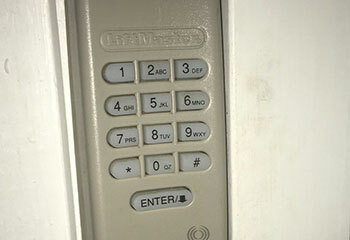 Our Solution: We ran thorough tests and attempted several solutions such as resetting the opener’s system to determine what the issue was. Finally, we concluded the receiver was no longer working properly and needed replacing, which we took care of. Our Solution: We’ve clamped open the customer’s garage door, and then unplugged and detached the cable from the door in a safe manner. We suggested to replace the other cable as well to make sure the problem won’t reoccur any time soon! 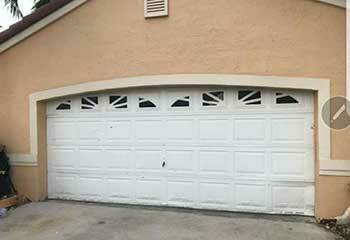 Customer Issue: Damaged garage door panel. Our Solution: After inspecting the scope of the damage we have replaced the single panel with a matching one, and replaced the bottom rubber seal as well. The door looks like new! 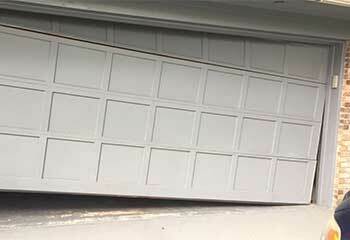 Customer Issue: Garage door out of its place. Our Solution: After examining the door, we saw one of the panels was dented, but the track was too bent to fix. We realigned the panel, replaced the tracks, and got the door back on its tracks.